Summary: Now accepting US clients, this re-brand offers a reliable binary options trading platform, and fast withdrawals. Today I’m looking at a broker rebrand, that still offers guaranteed withdrawals within one hour, Race Option. This offshoot of FinRally, has a very similar design, and offers traders essentially the same platform award-winning platform. One of the main differences, is that under this new brand they are able to accept US clients. I’ve been treated well by other brokers owned by this company, so I hope that continues this time around. The offices are located at 309 Premier Building, Albert Street, Victoria Mahe, Seychelles. They can be contacted via USA USA (829) 954-8392 and (UK) +44 203 808 8047. To get in touch with support via email, contact [email protected]. The creators of the Race Option brokerage want to push across the message that trading with their platform is very simple. They tell traders that their success is only 3 steps away. The first step is registration which includes a free gift, funding your trading account and then predicting market direction to win trades. While it comes across as easy, the last step can be quite difficult if you don’t have any experience in the binary options marketplace. After years of manual trading, I rely on some of the best binary options software on the market to provide me with these predictions, so that I can win trades using expert analysis from someone else. If you’re looking to sign up with this broker, then I would certainly recommend that you utilize the same trading approach that I do. Obviously, if you have trading experience, and you prefer trading manually, then you can do this as well. One of the most important aspects of any binary options broker in recent times, is the withdrawal process. Race option promises guaranteed withdrawal processing within a single hour. In my time with FinRally, I was happy with the withdrawal process, but it never happened within the first hour of my request. Generally, it would take a day or 2 which is fine, but hopefully under this new brand they have sped up their process. When signing up with Race Option you have 3 different choices, the bronze account, the silver account and the gold account. Depending on how much you deposit, you fall within a certain range. Anywhere from $250-$1000 will get you a bronze account, 1000 to $5000 will get you a silver account, and anything about that will get you access to a gold account. All of the accounts are pretty similar, with the only difference being an additional web-based master class and access to an individual account manager. 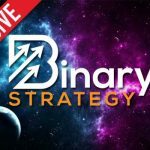 One of the messages that I push across here at binary today with a lot of conviction, is the fact that traders should be staying away from binary options account managers. The simple fact is that effective traders have no reason to seek out a job with a binary options broker, so the likelihood of your account manager to have the skills necessary to grow your account is very small. Brokers still offer this service because they don’t want to be seen as the only broker that doesn’t, but it’s not the way to win trades. I had quite a bit of success with the FinRally broker, so I’m confident that Race Option will be just as fruitful. I am happy that they are starting to accept US clients, and that they have kept their current platform because I found it to be quite effective. If you have any questions, or you want to leave your experiences with this binary options broker, then please leave your comments now. although their website shows many ways to deposit, when i tried, they couldnt/wouldnt accept my debit or visa cards. tried Neteller and Skrill, both said i couldnt deposit to this broker using their services. then someone from Raceoption called and advised they now only accept Bitcoin from u.s. traders. im still struggling to make that happen. it shouldnt be this damn hard, even for an old guy. ive also seen many complaints about them not processing withdrawals or cancelling them altogether. wondering if its even worth it for a newbie. i too was going to use Binbot Pro. Hi Jim, in the US I recommend Nadex, that’s your best bet. Trading binary options with race option has been a nightmare for the past couple months. After denying my request for a withdrawal countless times, I was finally able to recover all my money with the help of an expert I read about online. Happy to share my experience and also to enlighten people on how I was able to get my money back. You can reach out to me on tgermaine173 at gmaiI dot com. Are you sure the Race Option accepts US traders? I funded with $1000 at Raceoption, and opted to use two robots at BinBot Pro. They mention profit above 220%, After three days my balance showed 0.00419 BTC at Raceoption. Hello, The result of your robots trading depends on the robot, which you’ll select for trading. Each robot has its own trading strategy, according to this or that trading markets situation. Clients without sufficient knowledge should seek individual advice from an authorized source. Binary options trading entails significant risks and there is a chance that clients lose all of their invested money. Before trading with any of the brokers, clients should make sure they understand the risks. Thank you for contacting us! You are saying that BinBot Pro is a scam, not race option. I don’t recommend binary robots at all, never have. Would you pick this broker over Finrally, because they look exactly alike? I’ll sign up and let you know how it goes. any update with this broker yet?